PASIG — Two former national team coaches will highlight the 2019 NBTC National Coaches Convention later this month. 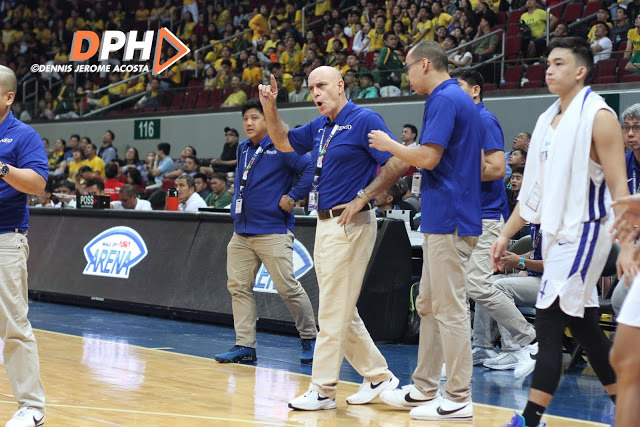 AS announced in a press conference at the Buffalo Wild Wings restaurant at the Estancia Mall, former Gilas Pilipinas mentor and current Ateneo gaffer Tab Baldwin and former Australia Boomers chief tactician Rob Beveridge will be the key speakers of the three-day event from March 22-24 at the Mall of Asia Arena in Pasay. Usually being held in October, or at the beginning of the NBTC season, Program Director Eric Altamirano decided to hold the eighth edition of the coaches’ convention this March, coinciding with the NBTC National Finals. Also going to speak in the convention, which is expected to draw about 1,500 coaches from 105 cities, are Coaches Nash Racela, Ardy Abello, and Vincent Ong and Dr. George Canlas. Racela, who like Altamirano also won titles in the pros and in college, will talk about different offensive concepts. Abello, on the other hand, will discuss how to coach the future generation, while Ong will tackle the qualities of a great coach in the grassroots level. Canlas will then discuss ways to properly hydrate players during games or in practice as well as before and after sports activities. The 2019 NBTC National Coaches Convention will be brought to you by Go For Gold and Gatorade.